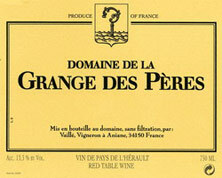 Grange des Pères is Languedoc's greatest success story: it is the most famous domain, as well as the most sought after. To be fair, Laurent Vaillé is an extremely talented grower. The Vaillé family settled in the region in 1963, and Laurent took over the family business in 1992 after a training from Eloi Dürrbach at the Domaine de Trévallon, as well as Jean-François Coche-Dury. He has expanded the domain to an area of 11 hectares. The soils are worked without any use of chemical products. 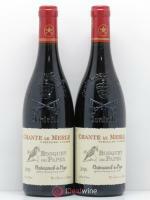 Although not certified as such, the domain seeks to adhere to biodynamic principles. The wine is vinified in parcels (in 50-hectolitre stainless steel tanks), and élevage is conducted in barrels over 24 months, with one-third new wood. 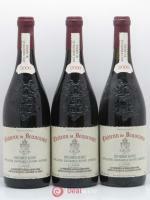 The remarkable quality of the wines of Grange des Pères was recognised from the very first vintage. 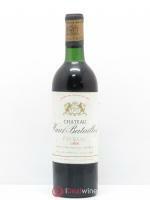 Prized by serious connoisseurs and collectors, its wines are now almost impossible for the average wine-lover to track down… except here at iDealwine ;). A blend of Syrah and Mourvèdre, enhanced with Bordeaux Cabernet Sauvignon, and Counoise, this wine is matured in barriques. 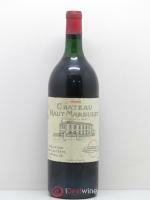 It has an intense and very expressive nose of stewed red and dark fruits, with hints of the garrigue and spice. From the outset, the nicely persistent palate is powerful, clean, flavoursome, balanced and dense, with a beautiful texture. More pairings of "Gibier à poils"